Richwoods is the quickest selling community in Frisco, Texas . . . ever! Located in East Frisco on over 506 acres, Richwoods plans are slated to have a total of 1,600 homes at build-out. The pent up demand for this land was clearly shown by the 65+ contracts that are executed in the first two months of sales in 2012. The convenience factor has to be another driving force with highway 121 located less than two minutes South from the main entrance on Independence and Kelmscott. This can either take you to Highway 75 going East or the Dallas North Tollroad heading West in no time at all. Let’s not forget that Richwoods is in the highly sought after Frisco ISD which most parents seem to never stop talking about. The fact that you can live in a gated community for the low $300′ doesn’t really seem to cause any complaints. The one drawback to the Richwoods Development would have to be the $10 million dollar amenity center (breaking ground in September of 2012) that plans to include a 4,000 square foot workout facility, resort-style pool and large banquet room for private parties. Wait a minute . . . That’s not a problem at all! Continuing, the developer has designated 12 sports fields throughout for children’s practices and recreation. Every home owner in Richwoods will be within 300 yards of one of the sports fields. This along with multiple parks and the resort-style pool will keep the kids busy and the parents even busier. How many times have you been out to dinner with friends/co-workers/family and you hear someone mention that they live in a Toll Brothers Home? I mean “Go out of their way” to mention they live in a Toll Brothers Home? Yep, I know I am right. Toll Brothers has 45 Years of experience. They treat their home buyers well and treat them like royalty through the building process. Toll Brothers is a luxury home builder and is publicly owned and traded on the New York Stock Exchange (NYSE: TOL) And they are DEBT-FREE! 100% CASH! The one thing I will tell you is that you “PAY to SAY” you own a Toll Brothers Home! Design – Hands down, the best design of homes either Stucco or Brick/Stone. Personalization Experience – They can make your Floor Plan . . . your Floor Plan. WOW Factor – Each plan is so uniques that any new visitor will be WOWed! If you have heard of Meritage, you have heard of Landon Homes. John Landon took Meritage public, was the CO-CEO for a while and decided that it was time for something new. Enter Landon Homes! Only 3 years old, Landon Homes is not only the fastest growing builder in the nation, but they are also positioned to be one of the top builders in DFW in just 4 years! Also DEBT-FREE, Landon Homes doesn’t want you to buy if you aren’t happy, which I Love! Price – For the size, location, standards and look – Landon cannot be beat on the price for the quality! Energy Efficiency – Using standard features like 2X6 boards, Rinnai Tankless water heaters and R-45 in the attic, DUH! Satisfaction – If you are not happy with your home, you are not buying. Landon wants happy homeowners. 30 years of trying to satisfy Luxury Custom home buyers in DFW would absolutely wear me out . . . but not Robert Jones, the Co-Founder and Preident of Newcastle Homes. 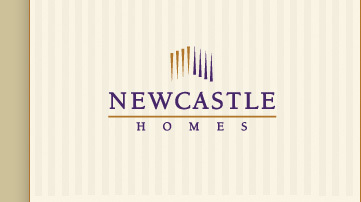 Newcastle Homes gives Richwoods a 100% Custom choice if desired. Newcastle has always built homes using Roberts hands-on-approach which makes sure each and every home built has the attention to detail and outstanding craftsmanship that he would want if it were his own home. Customization – Being a Custom homebuilder does have it’s perks when building with the large production builders. Texas Roots – Building in DFW for their entire existance helps the look and feel of each home appeal to a Texas home owner. Personal & Honest – Two traits that Newcastle will always give their customers. With over 50 years building, K Hovnanian Homes looks as building your new home for you as a privilege! Since 2001 K Hovnanian Homes has traded on the New York Stock Exchange (HOV) and has continually grown with financial strength since becoming the 6th largest home builder in the nation. There are not many builders that can claim to sell to both first time home buyers and Luxury buyers. 50 Years – That is a long time to stay a float in the home builder market. They will always be around. Energy Star Certified – There is a big difference between being certified and having features, don’t you think? Trus Joist – The technology for second floors to not make noises for years to come, even if it is wood floors! Richwoods will be a community that could quite be a destination for out-of-towners, family members or friends. With the outstanding location, housing affordability, quality builders, community amenities, nearby conveniences and a gate for privacy; it will honestly be very hard for any other developer or builder compete in the Frisco Real Estate Market. GO RICHWOODS or GO HOME!!! I’m doing BOTH, you Joining me? This community looks great cousin.